Lifestyle photography is, quite simply, any photo of your products – like wine bottles or beer cans – in contextual situations, that help viewers envision the experience of your product in their lives. When used in marketing materials, Lifestyle Images showcase your brand in its intended environment or alongside complementary accessories while inspiring or connecting with your audience. Cinco de Mayo, anyone? Help your audience visualize your wine in their own lives. In 2019, copy alone doesn’t cut it anymore. Lifestyle Images make the experiences of your potential customers the center of your communication. What occasion is your audience celebrating? What food are people cooking? These connections – demonstrated in the form of lifestyle photography -- are critical when building trust with your audience online. Tasting Merchants leverages the power of in-context photography with their homepage hero image. There are so many reasons why lifestyle photography matters for your brand. The human brain processes images 60,000 times faster than text*. Especially on the online channels of the wine or beer industry, your photos will typically be the first interaction potential customers have with your brand. High quality imagery defines the perceived value of your products and your trustworthiness as a company. An unprofessional, poorly lit image signals "low-quality brand," true or not! On the flip side, beautiful, cohesive imagery conveys the exact opposite. 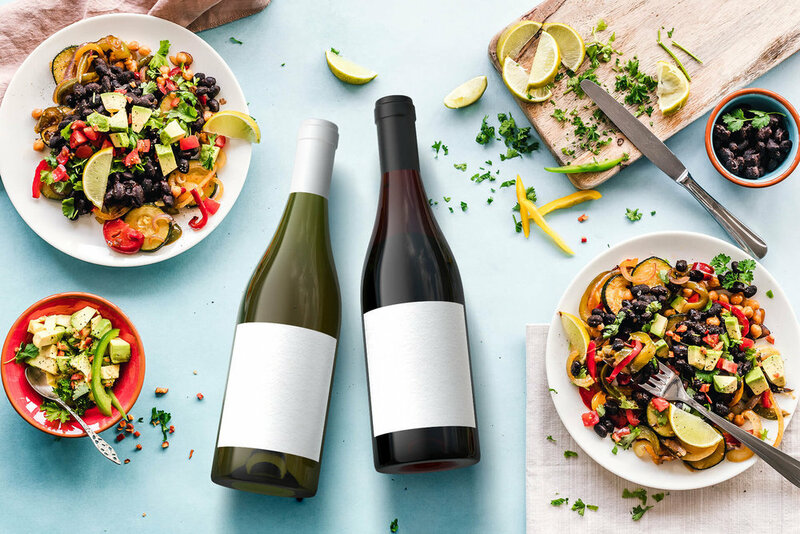 Your wine bottles pictured on an elegant dinner table reminds your audience that your reserve wines are perfect for important occasions. A bottle in a rustic picnic basket suggests that your brand should be the sidekick to a spontaneous weekend. Your wine alongside a bouquet of flowers, for example, will remind viewers of the best pairing of all... just in time for Valentine’s Day! At Outshinery, we offer Lifestyle Images for all those scenarios. Our photos can’t wait to have your brand in them! Stay relevant within a highly competitive market. Take your marketing to the next level by placing your wine or beer in a contextual situation. When picking the images for your next marketing campaign always keep in mind how your products fit into the lives of today’s consumers – and that story is best told with lifestyle photography. For further reading, check out our new Outshinery Playbook Series. Our inaugural edition is all about why lifestyle photography matters for your brand.